Did your vehicle fail its emissions test? The auto emission system in your car or truck is what ensures the efficient and clean performance of your vehicle’s engine under all types of operating conditions. Fountaindale Auto Center provides complete auto emission testing, service, and repair at our Frederick and Middletown automotive repair shops. Every emission technician at our Fountaindale Auto Center is highly qualified and expertly trained to use our state-of-the art emissions testing equipment to make sure your vehicle is delivering its best performance. If you are looking for an auto emissions check or auto emissions repair shop in the Frederick, MD area, consider the emission experts at Fountaindale Auto Center in Middletown and Frederick. 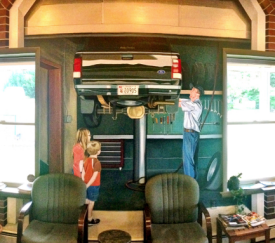 By making certain our cars and trucks are properly maintained in accordance with manufacturer recommendations (the whole purpose of the VEIP inspection in Maryland), vehicle owners can be assured that we are doing our part, along with industry and government, to keep Maryland a clean and healthful place to live.